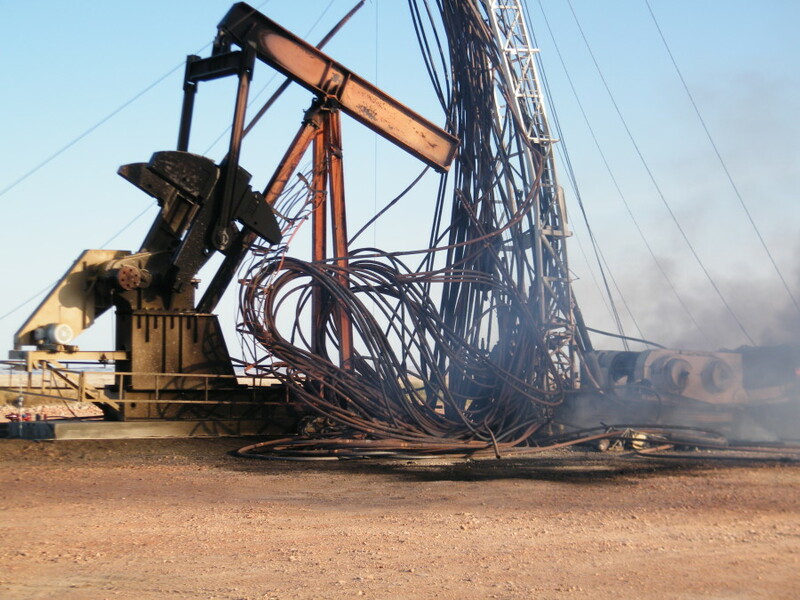 From the June episode of Reveal, a North Dakota rig still smoldering the day after a 2011 explosion. Photo: Occupational Safety and Health Administration. In its short existence as a new showcase for public media journalism, Reveal has grown beyond its original ambitions as the first-ever public radio series devoted to investigative reporting. From its humble origins in 2013 as a pilot series testing a new format, Reveal is delivering monthly public radio programs while beefing up its editorial team and ramping up to weekly production. The Center for Investigative Reporting, co-producer with Boston-based Public Radio Exchange, has recast its own website as RevealNews.org, creating a cohesive brand for presenting its multimedia enterprise reporting. Though CIR and PRX had planned to introduce weekly programs this summer, that expansion has been postponed until January as Reveal bolsters its radio reporting staff and builds on its network of collaborators. “Stations have said that quality is the most important thing, and we want to get it right,” said John Barth, Reveal co-founder and PRX chief content officer. Under the leadership of Kevin Sullivan, a former Here & Now managing editor who signed on as executive producer earlier this year, Reveal is also refining its format to present stories related to the same topic within each hourlong episode. 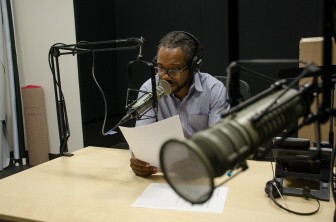 Al Letson, who recently ended his NPR series State of the Re:Union, continues as host. Carriage of the show has remained steady at about 260 stations during its pilot run and launch into monthly episodes, according to Barth. The carriage rundown includes stations in all of the top 10 markets. Reveal also made a mark with its very first episode. The program, which reported on the overprescribing of opiates to veterans, won a 2014 Peabody Award. CIR and PRX have been successful in drawing philanthropic support for Reveal. In the past 18 months, they’ve brought in grants totaling around $6 million, including a $3 million commitment from the Reva & David Logan Foundation and $500,000 from the Ford Foundation. With PRX handling distribution and marketing to stations and sharing in the fundraising, CIR, which is based in Emeryville, Calif., is driving the editorial operations. Founded in the late 1970s, it developed editorial collaborations long before it became so fashionable. Its investigations were published by magazines such as Mother Jones and presented on television by ABC’s 20/20. CIR’s Joaquin Alvarado, co-creator of the show along with Barth and others, saw an opening to create a new vehicle for presenting investigative journalism in public radio. Both NPR and American Public Media have produced investigative work, but with the decline in enterprise reporting by major daily newspapers, he said it made sense for public radio to do more. CIR had already taken on the role of operating an investigative newsroom for California. In 2009, it launched its California Watch, an investigative strand that co-published its reports with newspapers and broadcasters throughout the state, including San Francisco’s KQED. “In that California Watch period we went from having 10 people in the newsroom to around 40,” Alvarado said. CIR merged with Bay Citizen, a nonprofit newsroom covering San Francisco, in 2012. Its staff grew to 65, with 52 on the editorial side. It was time to rethink how CIR produced and published its work. “We thought, ‘What if we had our own show?’” Alvarado said. Today CIR produces about 200 enterprise-reported stories each year on criminal justice, money and politics, government oversight and the environment, and can be republished as print, online or broadcast coverage. All of the center’s stories are published on the RevealNews website. Partnering organizations that present its multimedia coverage include: NPR, the Washington Post, PBS NewsHour, PBS Frontline, American Public Media’s Marketplace and Wired magazine. Since CIR rebranded its website earlier this year, Reveal has transcended being just a radio show for CIR. CIR’s decision to adopt the name for its website underscores its commitment to the show, Alvarado said, and provides a way to showcase its reporting in a cohesive way. Barth endorsed CIR’s move to rebrand its news site; it helps to broaden name recognition for the radio show and is a good fit for CIR’s body of work, he said. CIR has drawn liberally from nonprofit newsrooms and public radio to flesh out its newsroom and show team. Several award-winning public radio journalists joined the newsroom this year, including reporters Laura Starecheski and Amy Walters, both veterans of NPR, and Deborah George, editor of NPR’s Radio Diaries for 18 years. Sullivan, who signed on in January, had been working at Boston’s WBUR as senior managing editor for Here & Now, the daily midday newsmagazine co-produced with NPR. The show has been built around a model of collaboration with other news organizations, though its trio of pilot episodes, which began rolling out in fall 2013, mostly featured CIR’s own reporting. Collaborations since the show started have included enterprise stories from Chicago’s WBEZ, Seattle’s KUOW, St. Louis Public Radio and the Center for Public Integrity, which is based in Washington, D.C.
J.J. Yore, WAMU’s g.m., said the reporting project began with discussions of story possibilities between Reveal’s producers and WAMU reporter Patrick Madden. Once they agreed on the investigation to pursue, Madden and IRW collaborated with Reveal to complete the reporting. The editorial collaboration aligned with changes that WAMU has been making to its local news coverage, Yore said, though the investigative work was intensive. “None of us can do it alone, but together we have tremendous capacity,” he added. Sullivan sees collaborations with public radio stations as key to Reveal’s success as it expands into weekly production. His goal is to include at least one collaboratively reported story in each episode. “We’re trying to establish partnerships with as many people as we can,” Sullivan said. The June episode, which focused on domestic oil production, included reporting by CIR, American Public Media’s Marketplace, StateImpact Oklahoma and KUOW’s EarthFix. There’s no set payment rate for partnership agreements, which are worked out on a case-by-case basis, Sullivan said. Reveal is also working with its partner organizations to find potential investigative stories, and provides training and support for reporters when necessary. During the Investigative Reporters and Editors Conference in Philadelphia earlier this month, Reveal provided a three-hour training session on audio reporting. As producers plan for the rollout of weekly episodes, which is slated for mid-January, they are also fine-tuning the show format, Sullivan said. The first episodes presented three stories, usually on disparate topics, but now the show team is working to present three or four stories related to a common theme. The extended timeline for weekly production gives the show team more time to work on the format, develop an audience and carriage, and ensure the quality of the reporting is solid, Barth said. “There are so many great stories out there to tell,” Barth said. An earlier version of this article provided the incorrect location for the headquarters of the Center for Investigative Reporting. They are located in Emeryville, Calif. The length of CIR’s training session at the Investigative Reporters and Editors conference was incorrectly reported. It was three hours.